The TR Foundation was established in 2016 as an avenue for assisting Traditional Owner groups to fulfil their cultural and community development aims. 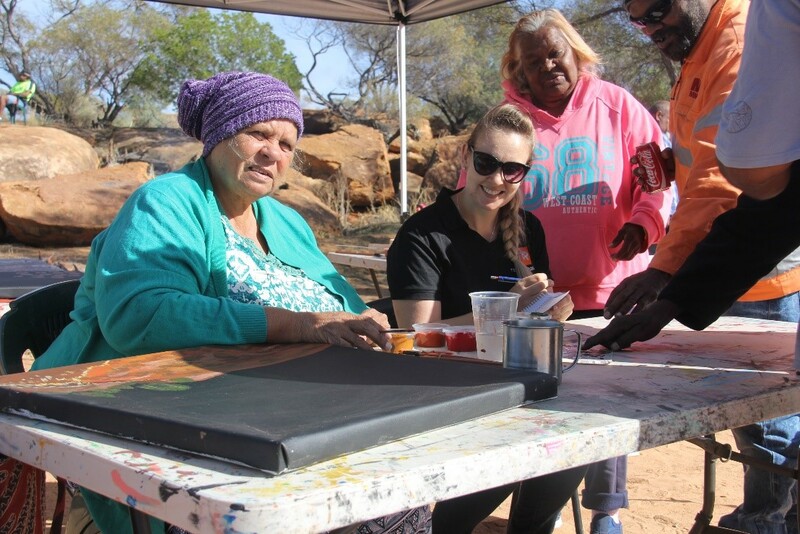 The Foundation currently supports Traditional Owner groups to return to country, record important cultural sites and express cultural information through community arts practice (read about our current project here). Partnerships with other not-for-profit organisations see the organisation engaged in Aboriginal sites preservation and Indigenous land management programs in the Pilbara region in remote Indigenous Protected Areas and National Parks. Where possible this role will culminate in an opportunities to participate in the on-ground facilitation of community development projects, which will involve working for brief periods (max 5 days) within remote Aboriginal communities. We are looking for candidates who are currently/have been engaged in tertiary studies in the following courses: community development, anthropology, archaeology, environmental sciences and social science. You will be enthusiastic, have personal initiative and a strong planning and written communication skills. Experience in administrative roles, social research and project management will be highly regarded. Internships have been organised previously with universities to ensure hours contributed to the Foundation are credited towards actual university units. Where this is not possible, the position would be voluntary. The successful candidate will have the opportunity to learn on-ground heritage management skills such as GPS, GIS and mapping, site recording, and applied archaeological and ethnographic research methods. Candidates who perform well in the role may be considered for ongoing employment opportunities within the TR Foundation and among the Foundation’s partners. This would be a great opportunity for a potential work pathway into the not-for-profit and Aboriginal heritage sectors. All successful completions will be provided will a professional reference highlighting their involvement and skill development.